Risk is a part of banking. You probably didn’t need us to tell you that, but that won’t stop John and Josh from spending an entire podcast talking about it. What does true risk look like in the bank marketing world? Are you taking enough risks? The guys even bring in PKM systems partner Terry Ammons to lend his expertise to the conversation. Terry discusses relevant risk management strategies for financial institutions of all sizes—like how to better understand your bank’s cybersecurity measures and the idea of embracing risk as a tool. Terry specializes in assurance and consulting services for financial institutions, fintech (payments, managed services, loan servicing, software development) and a variety of private technology companies. He is a frequent speaker to financial services and technology companies on a variety of topics including vendor management, cybersecurity, internal controls, regulatory compliance and strategic planning/alignment. Terry has been featured in numerous banking industry publications and outlets, including American Banker’s BankThink discussing how banks and financial technology firms can build closer, more cooperative working relationships, BankNews on how bankers can build and engage employees with a culture of risk management and in Banking Exchange on the topic of vendor risk management, among numerous others. 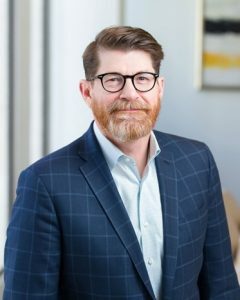 In addition, he also spearheads PKM’s successful webinar series “Vendor Management from a Vendor’s Perspective,” and is the host of PKM’s recently launched podcast GroundBanking, featuring both banking and fintech experts as they discuss the challenges and opportunities in today’s financial services industry.